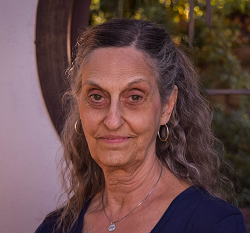 After a 19-year chiropractic practice in Tucson, Martha came to the Yoga Connection exploring the world of yoga. She completed the 200-hour Teacher Training and Personal Growth Intensive and has been teaching Back Care yoga classes as well as Gentle and Beginning/Continuing classes. She appreciates the supportive atmosphere and desires to continue to contribute to the loving spirit of the Yoga Connection, as well as developing her own spiritual practice of yoga.